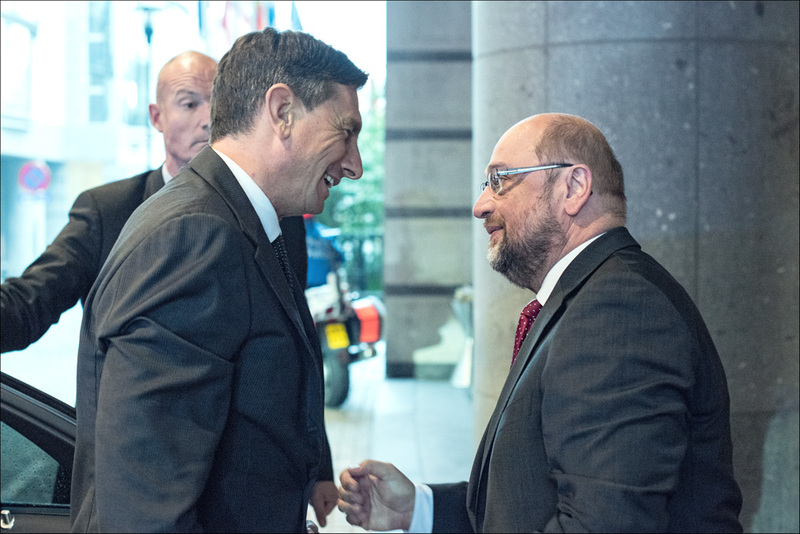 Slovenian President Borut Pahor discussed the EU's common approach to the refugee crisis with EP President Martin Schulz during a visit to the European Parliament in Brussels on 21 October. They also specifically discussed the situation in the Western Balkan countries, which have experienced a significant influx of refugees recently, as well as enlargement, Ukraine and EU-Russia relations. Afterwards Schulz stressed the need for the EU to tackle the refugee crisis jointly and coherently, saying binding and stable mechanisms are needed to manage migrants and refugees.